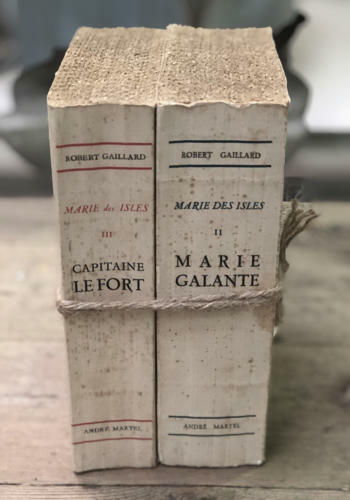 Interesting pair of French Novels by Marie des Isles - classic 1950's cover design - paper is a lovely colour. All in good order. Printed 1950.